Are You Ready? ; Micky Lee; 78/79; Count us Out; Two Brothers; The Mystical Tales of Danoubius Flow; Water Daughter; Let’s Get Out of Here; Ax-planation; Ta dad a da; Cosa Nova. 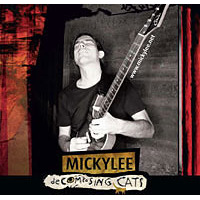 Mickylee: electric and acoustic guitars; Herbert Picker: drums; Martin Reiter: keyboards, Hammond, Vladimir Samardzic: bass; Nenad Vasilic: bass; Raphael Preuschl; Gerald Peter: keyboards; Andi Kober: bass, Wang Chong: alto saxophone; Nika Zach: vocals, Dusan Novakov: drums; Stefan Heckel: piano; Jure Pukl: tenor saxophone; Toti Denaro: drums.